I don't rant about much on here; but one thing I will rant about is Amy Winehouse. I am not going to lie; I own a few of her songs. All night during the Grammy celebration Amy was awarded time after time after time. (after time). And I can't help but think of what kind of message this sends. Develop an eating disorder, become hooked on drugs, be recorded doing drugs, go to rehab and be rewarded on the highest level of your profession. I am not saying she isn't talented, because she is extremely talented. It's just something I've been thinking about. Before we get to the post today, I want to comment on the current poll at the top of the page. I've asked you to vote on which of the Nike All Stars would benefit from a switch to Converse. The choices are Steve Nash, Dirk Nowitzki, Carlos Boozer, David West, Brandon Roy, Jason Kidd, Caron Butler, and Chris Bosh. Currently Chris Bosh is first, followed by Steve Nash, and then Brandon Roy. 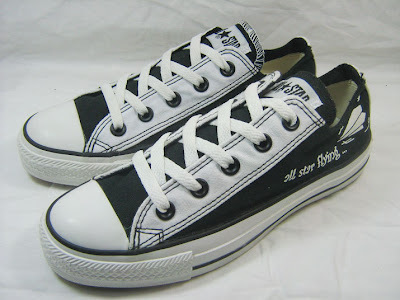 As many of you probably know, Chris Bosh spent the first few years in the NBA as a member of Converse. He signed on the same time as Dwyane Wade, but switched to Nike last Season. Also Steve Nash is often photographed wearing Chucks and wore Converse in college. So keep voting, I am inerested in seeing how this plays out. Anyway, on to today's post. 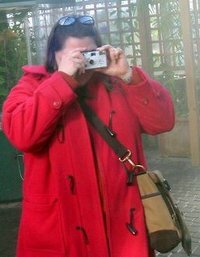 I am getting really backed up with stuff to most so I am going to try and throw in an extra post this week. We'll see what happens though. 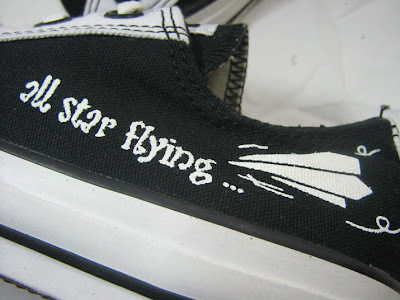 I am going to do something I don't usually do here, I am going to post a pair of Chucks. 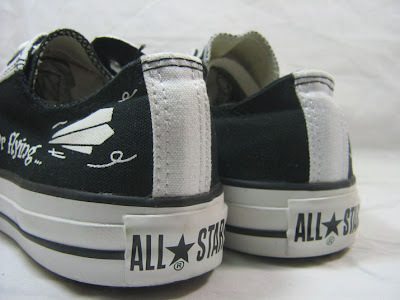 A pretty simple pair of Chucks, a Black/White colorway with a Paper Airplane. 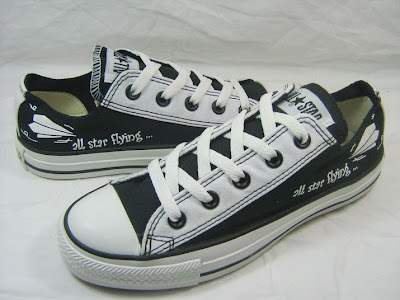 All Star Flying, as you can see is written before the paper airplane. These could just be samples, but I really like the simple design and I hope to see this in stores. Thanks for reading the blog and please leave some comments and feedback. I kind of agree with you about Winehouse, and I totally covet those Chucks. 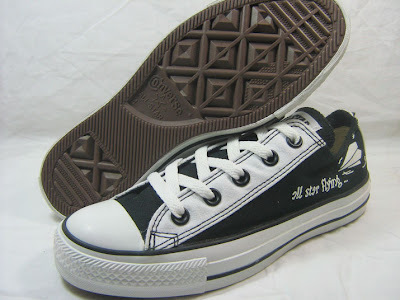 But coveting Chucks is not a new thing with me.